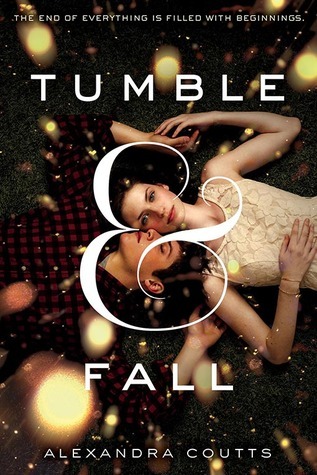 Alexandra Coutts's TUMBLE & FALL is a powerful story of courage, love, and hope at the end of the world. I'm gonna be honest here, what first attracted me to this one was the cover. I think it's absolutely stunning! Secondly, I'm intrigued by the fact that this isn't an 'omg an asteroid is gonna strike the earth we MUST stop it' kind of book. It's about what's important enough to still do before you die. And it's set on an island. What do you guys think? And what upcoming book did you pick this Wednesday? I do like the cover for this, but I don't think it matches the storyline. Just looking at the cover, I thought it was a Contemp. romance or New Adult read but after reading the synopsis, it feels more like a survival book instead. Still, I do want to read it. Great choice, adding to my pile! I love the cover of this one. It's beautiful. Ooh a book that I hadn't heard of before. Very nice Carmen. I love this cover, its just completely memorizing! Great pick this week! I haven't seen this one before but it sounds great and I hope you enjoy reading it! Ooooh this sounds like a really cool take on the asteroid bit. I like the different approach and it makes me curious to see the living they'll do...as well as how it'll all go down. Oh and I agree,the cover is stunning! I love the sound of this book and I agree, pretty cover! Wow. I haven't heard of this one, but it definitely sounds like a book I would enjoy. Plus, I really love that cover. This is so gorgeous and sounds really good! It was my WoW last week! :D I hope we both enjoy it! I really love the cover too. Simple enough, but striking. Great pick; sounds like a good one. I like that it's more about everyday life as well. I've seen this several times, it looks GREAT! Nice pick :) <3! Gorgeous cover! Reminds me of Melancholia! Love the cover as well! I'm excited for this one too. Can't wait to read it. Great pick!